Chemical Marine Inspections, in cooperation with CalGaz International LLC, offers a wide range of Calibration Gases to customers. All the Calibration Gases are traceable to international standards and accompanied by an analysis certificate. They are offering the best quality with the longest possible shelf life. We also offer the required equipment for handling the gas (regulator valves) and the equipment for safe disposal of the empty cylinders (recycling tools). The Calibration Gases and handling equipment can be dispatched to your nominated forwarder in a short notice. 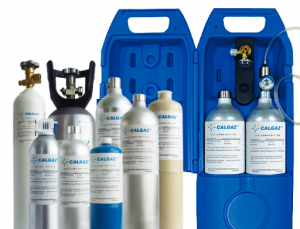 The table summarizes the technical characteristics of the Calibration Gas Cylinders we are using. Please follow the links for more details…..